A General Meeting of Wärtsilä Corporation shareholders is held at least once a year, at a time no later than the end of June. If needed, the company may also hold Extraordinary General Meetings. An invitation to the General Meeting is published on the Company’s website or in not less than two daily newspapers, which are commonly distributed in Finland, as decided by the Board of Directors. The invitation shall be published no earlier than two months, and no later than three weeks, prior to the General Meeting. It shall, however, be published at least nine days prior to the shareholders' record date. 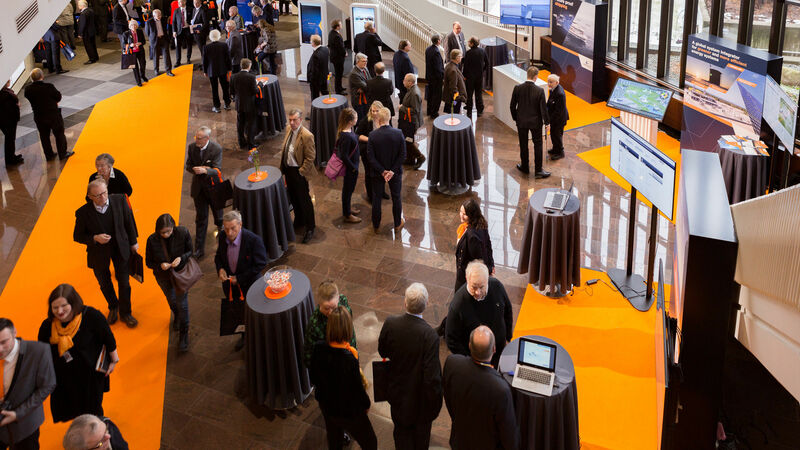 Wärtsilä also publishes invitations to its General Meetings as stock exchange releases. The documents and draft resolutions to be submitted to the General Meeting can be found on Wärtsilä's website. Shareholders have the right to add items falling within the competence of the Annual General Meeting to the meeting's agenda. The request must be submitted to the Board of Directors in writing sufficiently in advance of the meeting so that the item can be added to the Notice of the General Meeting. Wärtsilä publishes on its website the date by which a shareholder must notify the company’s Board of Directors of an issue that he or she demands to be addressed at the General Meeting. This information is given no later than by the end of the financial period preceding the General Meeting, and includes the postal or email address to which the demand shall be sent. The demand is always deemed to have arrived in sufficient time if the Board has been notified of the demand at the latest four weeks before the delivery of the Notice of the General Meeting. All shareholders registered by the record date in the company's list of shareholders maintained by Euroclear Finland Ltd have the right to attend the Annual General Meeting. Each share entitles the holders to one vote. The General Meeting is organised in such a manner that shareholders can participate in the meeting as extensively as possible. The Chairman of the Board of Directors, the members of the Board of Directors, and the President & CEO are present at the General Meeting. The auditor-in-charge also attends the Annual General Meeting. The director candidates shall also be present at the General Meeting that decides upon their election. Wärtsilä's Annual General Meeting was held on 2 March 2017. A total of 1,646 shareholders representing 113,297,157 votes participated in person or by proxy. The Annual General Meeting approved the financial statements and discharged the members of the Board of Directors and the company’s President & CEO from liability for the financial year 2016. The Meeting approved the Board of Directors’ proposal to pay a dividend of EUR 1.30 per share in two instalments. The first instalment of EUR 0.65 per share was paid on 13 March 2017, and the second instalment of EUR 0.65 per share was paid on 21 September 2017. The audit firm PricewaterhouseCoopers Oy was elected as the auditor of the Company for the year 2017, following a tendering process initiated by Wärtsilä’s Audit Committee. The Annual General Meeting authorised the Board of Directors to repurchase and/or distribute a maximum of 19,000,000 shares. All resolutions were taken without voting. The minutes of the meeting and other related documents can be found on Wärtsilä's website; www.wartsila.com > Investors > Governance.